-Shield: Blue Beetle is able to block up to 90 points of damage by using his wings as a shield. 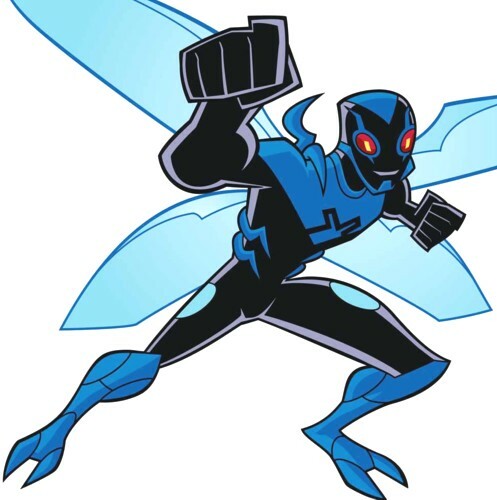 However, Blue Beetle cannot fly if they are used as shields. -Weapon Creation: Transform his body parts into Am Strength weapons and objects. -Wormhole: The antenna can create a wormhole with Mn ability. Vulnerable to the Gamma Gong: When attacked with the Gamma Gond, the Scarab will lose its form and fall to pieces.